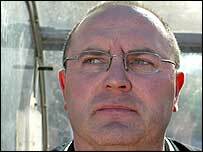 League Two side Chester have appointed Bobby Williamson as their new manager to replace Mark Wright, who was sacked last month. It will be the first job for the 46-year-old Scot since he left Plymouth in September 2005. Williamson has also managed Kilmarnock and Hibernian and recently he has been working with the Scotland B team. He had also been linked with the managerial vacancy at Scottish First Division side Livingston.